I met Sarah Mallory through the RNA ages ago – OK, yes, another historical author, so you know what we have in common and talk about at author dos :o) We were also on the same shortlist this year, for the RoNA Rose award, and I was so thrilled to be there and applaud her when she won! First of all, HUGE congratulations on your 50th book, Kate, although you are so prolific that by now you are probably nearing book number 60! I am delighted to have the chance to be here with a writer whose books I enjoy so much, although they are very different to mine. 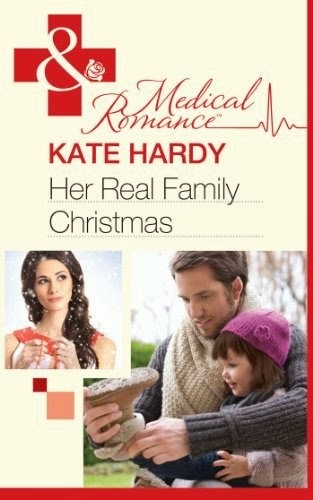 I tend to stay away from other historical authors while I am writing my own historical adventure romances, just in case their "voice" infiltrates my writing, so it's good to relax with a Kate Hardy medical. Of course, Kate is also interested in history, which is something we have in common – my love of history goes back to my schooldays when we had a lovely (if eccentric) history teacher, who would hitch up her tweed skirts, perch herself on one of the front desks, push her thick-rimmed glasses back into place and proceed to tell us all the juicy bits of gossip about history, the salacious stories of the English kings and queens or how Victorian ladies relieved themselves and how you could tell an 18th century snuff taker (he or she would have brown stains around his/her nose). The detail we needed to pass the exams we could learn from our school-books, but we found this much easier because of the colourful detail added by our delightful teacher. Since then I have continued to read and research about history, particularly the Georgian and Regency periods, and to write my own stories, set in the gloriously colourful world of the past. Writing can be a lonely business, and it's great to be able to meet up with like-minded authors. 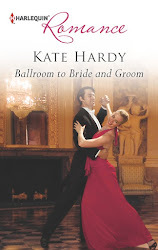 Kate has always been very supportive, never more so than when we were both short-listed for the RNA's Rona Rose Award earlier this year. You might have thought that the rivalry between authors would be intense, but not amongst romance authors - there is a tremendous camaraderie and when my Regency romance The Dangerous Lord Darrington was announced as the winner Kate was the first to congratulate me (this was my very first major award, so I was completely overwhelmed and very grateful for the advice and good wishes of such a successful and established romantic novelist). What a party this is turning out to be, thanks for inviting me, Kate! To help celebrate I am giving away a copy of my award-winning book The Dangerous Lord Darrington plus a pretty little fan - I'm afraid it isn't a Georgian antique, but I find mine very useful at the theatre, or when I am reading those steamy scenes in Kate's romances! Just leave a comment and a name will be picked out of the hat. Great post, Sarah. Kate is so supportive and wonderful - and we both cheered when you won the RoNA Rose this year! I was there applauding you too, Sarah! How lucky you were to have such an inspiring history teacher. I wish I'd been at your school. Mine just read out from notes about the Corn Laws and we had to take down what he was saying - deadly. It wasn't until I discovered historical novels that I realised just how fascinating the past is. Thanks Liz, Eli and Jessica. I think TV programmes on history are now doing what my history teacher did - making it fun! Detail and dates are important, but first you have to catch your audience. And I think historical novels can help here, too, my first priority is to entertain but I hope my books encourage at least some of the readers want to learn more about the period. Great post Sarah and congratulations on winning the RoNA Rose! qlarIdo 9Thanks, Scarlet. The RoNA Rose has been the highlight of my writing career so far! I hope it will inspire me to write even better books! I'm with you, Caroline, I love history. I do think there is a definite increase in interest at present, so long may it continue. Oh, and thank you for the congratulations,with the shortlist including such excellent authors as Kate, I am really proud of the achievement! Thank you for all the congratulations - and thanks to Kate for inviting me to join her 50th blog party - I am enjoying meeting so many friends here! First names drawn from the hat for 'The Dangerous Lord Darrington' - Eli Yanti. Please contact me kate(dot)hardy(at)btinternet(dot)com with your details, and I'll get everything sorted :o) Thanks for taking part!